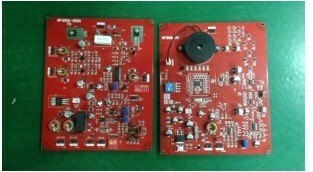 DSP (Digital Signal Processing) technology with high sensitivity. Auto noise filtering to counter interference and minimize false alarm. High pick rate with ability to distinguish moving and static tags & labels. Easy installation with auto synchronization (wireless connection). Audible and visual alarm indication with adjustable speaker and LED light." Антивандальная конструкция ,электроника Китай , выгодная цена . Material: Stainless steel frame with metal base cover.